Thomas C. Gee was a consummate teacher with a quick wit and a gentle soul. Thomas C. Gee was a consummate teacher with a quick wit and a gentle soul. During his life, cut short just before his 55th birthday, Gee encountered many people from all walks of life, and they share one thing in common—they all feel their lives were enriched for having known him. Thanks to the efforts of Gee's friends and peers, his work and name will live forever at the University of Houston-Clear Lake through the Thomas C. Gee Scholarship Endowment. The endowment was established in his memory to provide scholarship awards to students pursuing their dreams and career paths as teachers. Resa Ott, UHCL director of alumni and community relations and Gee's secretary when he was program coordinator in the School of Education, said, "I met one of the recipients of the Thomas C. Gee Scholarship award, Kimberly Pratt, and Tom would have been so very proud to have made such a difference in her life. She told me that without the financial support she would not have been enrolled in school." Born in Dublin, Texas, in 1940, Gee attended Tarleton State University before heading to the University of Texas at Austin where he received his Bachelor of Arts. Gee received his master's in education and doctorate in secondary education and reading from North Texas State University in Denton. In the mid-60s, he landed a teaching assignment at the American School in Ankara, Turkey. He worked as an English teacher for a year before heading to Mannheim, Germany, where he served as a teacher and department chair at the American School. When Gee returned to Texas, he worked at North Texas State University as an assistant professor before joining the University of Houston-Clear Lake as an assistant professor in the School of Education. Gee authored numerous articles, coauthored a book on content area reading, served on editorial boards and sat on a wide variety of national, regional, state and local committees and councils all with one purpose in mind—to improve reading for all students. "His guidance, punctuality and professionalism never wavered. He was a leader to all in the Texas State Reading Association. I was always amazed that his thinking was far ahead of the pack, in every respect," recalled UHCL Professor of Reading Peggy Hill. Gee's many awards included the Texas State Reading Council's Distinguished Service Award, UHCL's Neumann Cultural Enrichment Award and the Literacy Award from the Texas Secondary Reading Council. For Gee, the ultimate reward was to see children become better readers. The establishment of the Thomas C. Gee Scholarship Endowment at UHCL guarantees that Gee's legacy will live on through the lives of those he touched and in the lives of students for generations to come. 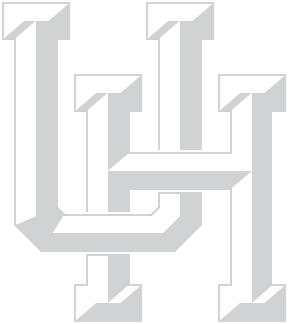 Contributions to the Thomas C. Gee Scholarship Endowment or another UHCL endowment fund should be sent to UHCL, Office of University Advancement, 2700 Bay Area Blvd., UHCL Box 318, Houston, TX 77058.